How long does order processing take? Orders placed before 12pm will be processed on the same day. Orders placed after 12pm will be processed on the following day. Orders placed after 12pm on Thursday or on the weekend (Friday-Saturday) will be processed on the following Sunday. Orders placed on holiday eves will be processed upon returning to work after the holiday. At this stage, we do not accept international online orders. To have an order shipped internationally, call customer service at (972) 3-6911688 or email us at info@sebocalm.co.il. How long will it take to receive my order from the time it is placed? Are orders delivered by courier? Yes, your order will be delivered right to your door. Be sure to leave a current phone number when placing your order so that the courier can schedule your delivery. Will the courier contact me to schedule my delivery? Yes. Be sure to leave a current phone number when placing your order. If you experience problems with shipping or are dissatisfied with your order, email us at info@sebocalm.co.il or call us at 03-6911688. Our customer service representatives will be happy to help. How much does shipping cost for orders placed online? Delivery fees to any location within Israel are fixed at 30 ILS. Shipping is free on orders over 150 ILS! Shipping is free on orders over 150 ILS (after discounts and sales are applied). The delivery fee is automatically deducted from the final cost of the order if the total order exceeds 150 ILS. Why is it important to create an account? Creating an account offers users access to important information such as order history, wish lists, etc. It also allows users to earn loyalty points that can be redeemed for promotions and special offers on online purchases. No. Orders can be placed without creating an account, but you will not be able to access your order history and you will not earn points that can be redeemed for future purchases. Can I edit my personal details? Your personal details can be edited by clicking ‘My account’ > ‘Account details’ and then clicking ‘Edit’ on the top of the screen. How can I sign up for SeboCalm’s loyalty program? You can sign up by creating an account at http://sebocalm.co.il/my-account or after placing your order on the payment page. What benefits do members of SeboCalm’s loyalty program receive? Loyalty program members regularly receive discounts and promotions and can earn 10% of the value of every purchase to be applied to future orders. Members also receive a birthday gift, a new member gift to be redeemed on a future order and other perks! Is creating an account free? Yes, creating an account is free! On the payment page under section 4 (order summary), a pink circle will appear showing the number of points that can be redeemed with that purchase. Click on the circle to automatically update your total. Points are redeemed based on your order total. How can I see how many points I’ve earned? Your points history can be found by clicking My account > Account details > My points. Is ordering on the site safe? Yes, credit card details and other details such as ID numbers are not stored on the site. Orders are placed in a secured environment under the strictest regulations. Will the site save my personal information? The only information saved on the site is your full name, email address, and your date of birth, which you submit when you create an account. These details are safe and secured as well. Where can I buy SeboCalm products? SeboCalm products are available on the SeboCalm website, at Super-Pharm branches in the natural products department, at select private pharmacies, and at health fund pharmacies: Maccabi, Clalit, Meuhedet and Leumit. When do SeboCalm products expire after opening? 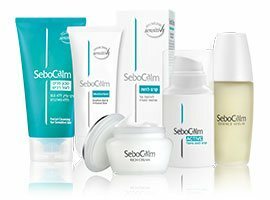 All SeboCalm products are labelled to show how many months the product can be used after opening. How can I determine my skin type? -	Normal skin – pores are virtually invisible. Skin looks smooth and even. -	Oily skin – enlarged, visible pores. Sebum secretion and very few wrinkles. Some oily areas of the skin look shiny. -	Combination skin – oily skin in some areas and dry skin in others. Usually, the T-zone (the center of the face) is oily and other areas of the face are dry or normal. -	Dry skin – shows a tendency for wrinkles. Pores are virtually invisible. Skin may lack moisture and feel tight and uncomfortable. What is the difference between SeboCalm (white) and SeboCalm Innovation (green)? The SeboCalm product line (white) is suitable for combination to oily skin and for sensitive, red, irritated skin. It offers a daily skincare regimen for sensitive skin to prevent and relieve sensitivity and redness. The Innovation product line (green) offers anti-aging products for sensitive skin. Products are suitable for normal to dry or very dry skin and provide instant results to treat and prevent wrinkles leaving a lasting, cumulative effect. What is the difference between SeboCalm Moisturizer and SeboCalm Active? Both creams alleviate sensitive, red, irritated skin, but they are based on different formulas, a different concentration of active ingredients, and have different scents. SeboCalm Active is paraben-free and is sold in an airless bottle, while SeboCalm Moisturizer is sold in a tube. Is SeboCalm Deodorant for Sensitive Skin suitable for both men and women? Yes, the deodorant has a subtle scent suitable for both men and women. Which SeboCalm products prevent and treat pigmentation? SeboCalm Toner for Sensitive Skin – Gently peels off dead skin cells to boost cell regeneration. Used daily, the toner brightens existing pigmentation to even out skin tone. SeboCalm Innovation Exfoliating Enzyme Mask – Use 1-2 times a day to complement the peeling regimen. To prevent pigmentation and discoloration, use SeboCalm products that offer sun protection. All SeboCalm SPF products also offer protection from UVA rays, which cause pigmentation (discoloration) and early aging of the skin. Use daily before going outdoors and reapply several times a day to protect the skin from the sun, and to prevent both new pigmentation and the return of old pigmentation. What is the difference between SeboCalm Cleansing Cream and SeboCalm Facial Cleanser? SecoCalm Cleansing Cream is free of soaps and detergents (ingredients that bind oil and water) and is formulated for very delicate, sensitive skin. SeboCalm Facial Cleanser contains a very gentle detergent (soap) and is suitable for all skin types. The two products have different textures. The facial cleanser produces a foam and is rinsed off with water; the cleansing cream does not foam and can be rinsed off with water or removed with a cotton pad. What is serum and is it applied before or after moisturizer? Serum is a concentrated extract of active ingredients such as vitamins, plant-based minerals, oils, plant extracts, etc. Serum can penetrate deeper layers of the skin and prepares the skin to more effectively absorb products used after its application. Apply serum to a cleansed face before applying moisturizer and makeup. -	SeboCalm Essence Serum to soothe the skin and to add moisture to deeper layers of the skin. -	SeboCalm Phyto Serum to firm and nourish the skin. Do SeboCalm Young products contain retinol? No, SeboCalm Young products are retinol-free. Can SeboCalm Anti-Dandruff Shampoo be used after hair straightening? Do not use SeboCalm Anti-Dandruff Shampoo or SeboCalm Scalp Moisturizer on a sensitive scalp after chemical treatments and straightening. These products treat a variety of conditions such as dry skin and dandruff by balancing oiliness of the scalp. Are all SeboCalm products suitable for sensitive skin? 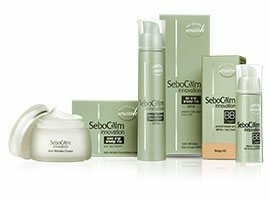 All SeboCalm products have been clinically tested at the Institute for Skin Research (ISR) and have been found to be hypoallergenic and suitable for sensitive skin. 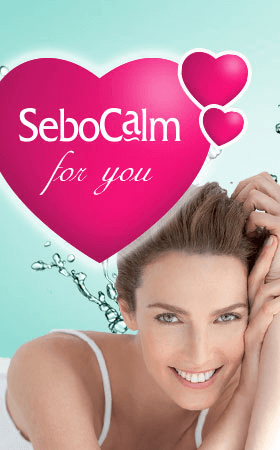 Are SeboCalm products only suitable for red and sensitive skin? No. SeboCalm products are suitable for all skin types, especially sensitive skin. If products are hypoallergenic, does this mean that I will not have an allergic reaction to them? Clinical tests found all SeboCalm products to be hypoallergenic, but sensitivity to a particular ingredient may cause an allergic reaction. Test the product on a small section of the skin before use. What’s the difference between SeboCalm Innovation BB Cream, SeboCalm CC Cream and SeboCalm Triple? The main difference is in coverage, skin type, purpose and SPF number. -	BB SPF35 – A high-coverage cream foundation for normal to dry skin. The cream contains anti-aging ingredients to firm the skin, to reduce the appearance of wrinkles, and to help prevent pigmentation. -	CC SPF30 – A medium-high coverage cream foundation for normal to oily and combination skin. The cream nourishes the skin and helps prevent pigmentation. -	Triple SPF29 – A moisturizer with a low-coverage, sheer foundation. Suitable for all skin types, including oily skin. How do I match foundation to my skin tone? Matching foundation depends on your natural skin tone and your personal preference. SeboCalm BB Cream comes in three shades: Natural (light), Light Beige (medium) and Beige (dark). 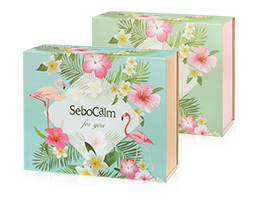 SeboCalm CC Cream also comes in three shades: Porcelain (light), Golden Sand (medium) and Caramel (dark). SeboCalm Triple blends with the skin and adjusts to match skin tone. It comes in two shades: Light (light-medium) and Medium (dark). 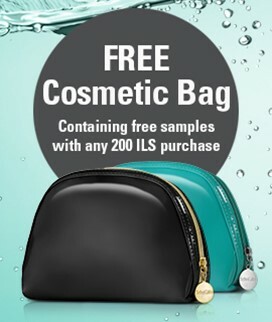 Retail outlets offer testers to sample products prior to purchase. Call customer service at 03-6911688 to order samples. Can I apply SeboCalm Baby Bath Oil to my baby’s scalp to prevent peeling? Yes. To treat a scaly scalp, apply bath oil about 10 minutes before bathing and rinse off in the bath. Gently towel-dry the scalp and head. Avoid contact with eyes. Should Baby Diaper Rash Ointment be used with every diaper change? Yes. Use with every diaper change to prevent diaper rash and to treat existing diaper rash. Is SeboCalm Baby Latopi Treatment Body Cream suitable to use on baby’s face? Yes. If your baby’s face is experiencing a flare-up of atopic dermatitis (skin asthma), apply the cream to the face, neck, ears and head. Can SeboCalm products be used when pregnant/nursing? Most products are safe for use during pregnancy or while nursing, but some ingredients like retinol in SeboCalm Innovation Retinol Night Cream should be avoided when pregnant or nursing. Consult with a SeboCalm customer service representative at 03-6911688 or with a pharmacist at a retail outlet or pharmacy. Mineral oils are produced from fuel derivatives. They clog the skin and do not allow it to breathe. Names of mineral oils include Vaseline, paraffin, liquid paraffin and petroleum. Do SeboCalm Baby Latopi products contain mineral oil? No, the Latopi product line does not contain mineral oil.